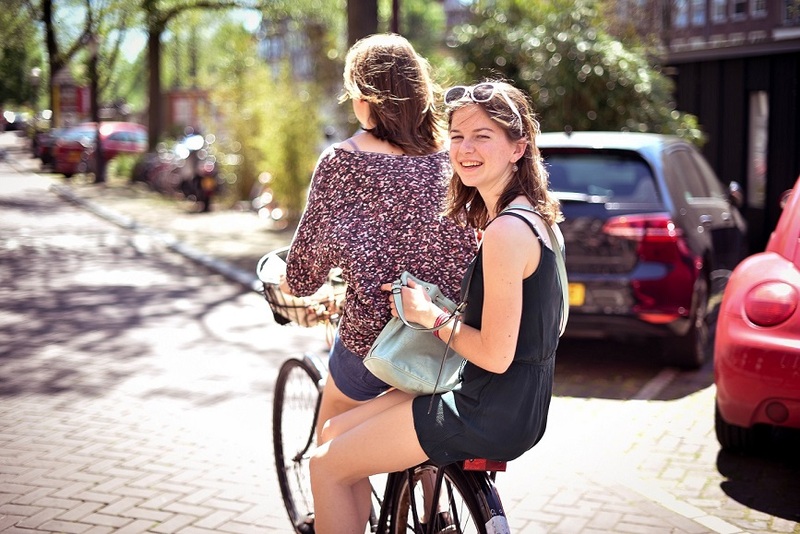 Spend your Christian gap year in Amsterdam! The Shelter Youth Hostel Ministry offers opportunities year-round for individuals to take a Christian gap year. Are you wondering what a gap year exactly is? Scroll down for more information! What does a Christian gap year at the Shelter look like? We have two Christian hostels, called ‘Shelter’, in the heart of Amsterdam. The hostels are run by 40 Christian volunteers who all spend (a part of) their gap year in our ministry. Our mission is twofold: first, we want to reach out to travelers with the good news about Jesus Christ. Secondly, we want to equip and prepare our volunteers for a life of ministry and service. Since the Shelter is a hostel, hospitality is it’s ‘core business’. So running the hostel in a practical way is an important part of the ministry. Preparing food, serving guests, being a great host at reception or leading our cleaning program: it is all part of work. But most important is connecting to guests. Through personal conversations and a warm welcome, we like to create a safe atmosphere. It is our deepest desire that guests feel free to talk about spiritual matters with us. In conversations about everyday things and in daily activities we try to make bridges to the Gospel. Of course, without being forceful to guests or preaching to them. Our volunteer staff members work about five and a half hours a day. During these shifts, there are many opportunities to reach out to the people that you meet. So our mission is to share the gospel of Jesus Christ in a context of hospitality among travelers in our two Christian hostels in Amsterdam. And to help Christians between 18 and 30 years old growing and maturing in their faith. But there is a third cool fact about the hostel! Since we are part of the non-profit organization Tot Heil des Volks, the revenue that is generated by the hostels supports local charities. These local charities help people in need, like homeless people, poor children, drug addicts, and women who are trapped in prostitution. The Shelter is a great place to spend your Christian gap year. First of all, because you will become part of an international community of young Christians. Secondly, through this community, the Shelter is a place where you have the opportunity to grow in your personality and to discover your unique gifts. You will grow in your faith and gain life experience with over people who chose to do (part) of their Christian gap year at the Shelter. 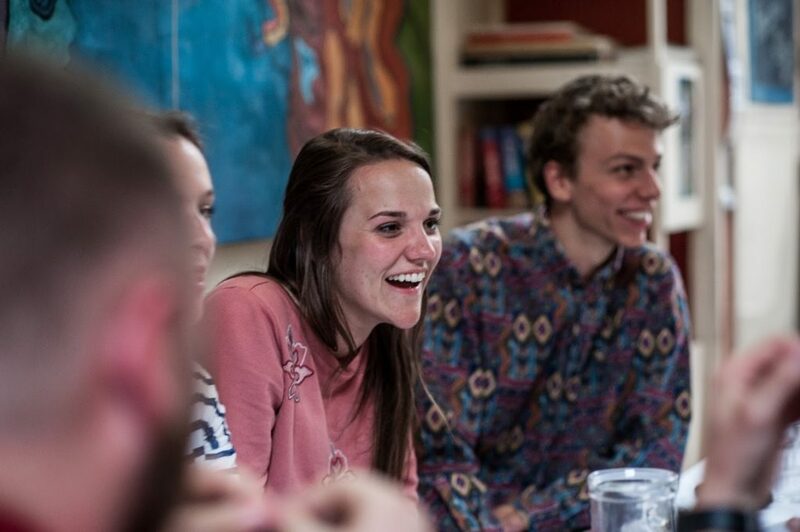 Come and spend your Christian gap year at the Shelter, experience ministry and life in Amsterdam, live in an international community, grow in your faith, and share Christ with others. Maybe you heard about a gap year and were you wondering about taking a gap year means. A gap year is any year between educational transitions: after graduating high school, in between university, as a break during your studies, or right after you graduated. In this “year”, people take time away from their education to pursue something different. We rather define a gap year as an experience of a lifetime. It’s a unique opportunity to take a little detour from your regular life and do things you’ve always dreamed of but never had the chance to do. If I would like to do a gap year, what are my options? While there are many opportunities for a gap year, the advantages are universal: getting out of your comfort zone, learning new skills, engaging in new activities, and returning home with a fresh perspective on life. No matter what culture you come from, a gap year can be an opportunity to grow and mature. However you choose to spend it, a gap year can be a hugely significant time in a person’s life. Join our ministry as a volunteer!